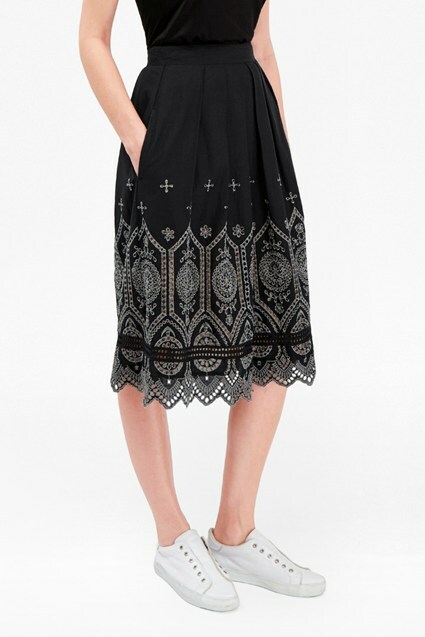 Make a case for flared skirts with the Juliet black skirt. Made from lustrous satin, it features delicate knife pleating and flares out into a kick skirt for a playful piece that swishes beautifully with every step. Tuck in a loose-fit shirt into the fixed waistband, and finish with heeled ankle boots for desk-to-drinks look.